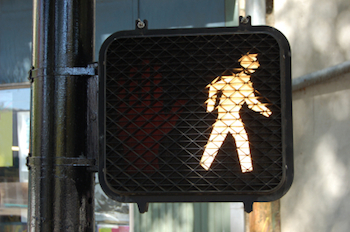 Too often in Kentucky pedestrians are hit by motor vehicles while walking. These accidents occur at crosswalks, along the sides of roadways, and in parking lots. Many times the pedestrians are hit due to the carelessness of and inattentions of drivers. When a pedestrian is hit, these types of accidents usually result in serious or deadly consequences and injuries. This is due to the speed and blunt force of a motor vehicle striking a person's body, often times propelling the pedestrian through the air and into other objects or other vehicles pathways. When a pedestrian is struck by a motor vehicle, they have a possibility of multiple avenues of financial recovery for lost wages, medical bills, and pain & suffering compensation. Usually, when dealing with pedestrian accidents, apportionment of fault becomes an issue. This occurs when the driver of the vehicle claims that the accident is the fault of the pedestrian due to where the pedestrian was walking or other circumstances within the control of the pedestrian. Kentucky is a comparative fault law state. This means that fault, even if 99% lies with one party, that party can still seek recovery from the other party for their 1% fault. The role of your attorney is to establish what percentage of fault each party bears, and then using such percentages, in relation to the total damages incurred, to seek a recovery based upon the relative percentages. If you or a loved one has been injured by a motor vehicle while walking, you should consult with a lawyer about the facts of what happened in order to know what your legal rights are. Our firm represents people injured by automobiles in Kentucky, while walking or jogging. We also represent the Estates of families who have lost a loved one in a Kentucky pedestrian related accident. We will work hard to insure that the insurance companies treat you fairly and obtain payment of your medical bills, lost wages, and compensation for your injuries. If you or a loved one has been injured in a Kentucky pedestrian or crosswalk related accident, contact us to discuss your legal options. We will take the time to review your case with you and inform you of what your legal rights are. You can contact us by email (fill out the Contact Us section at the top right of this page or email Kentucky injury attorney Brent T. Ackerson at brent@kyfirm.com or click here to contact us online) or call us directly at (502) 882-5176. We will quickly return your calls and respond to your emails, even on nights and weekends. We provide legal services in every county in Kentucky, including, but not limited to, the following localities: Daviess County, Owensboro, Jefferson County, Boyd County, Ashland, Breckinridge County, Hardinsburg, Bullitt County, Shepherdsville, Calloway County, Murray, Fayette County, Lexington, Franklin County, Frankfort, Hardin County, Radcliff, Elizabethtown, Hopkins County, Madisonville, Kenton County, Covington, Madison County, Richmond, Pike County, Pikeville, Warren County, and Bowling Green.